in & AROUND PERTHS SUBURBS AND GREATER WESTERN AUSTRALIA. Our fleet of vehicles, minibuses & busesoffer you a safe, reliable and stress free transport option for up to 24 passengers for nights, Tours, Corporate Events & Airport Transfers. Our bus charter perth servicesis only available for hire with a driver, but we are available 24 hrs a day, 7 days a week for your convenience. Don't waste your time trying to book and then waitfor a traditional Taxi Van that may never arrive. Ring Westside Private Charters and we will pick you up on time every time. All bus charter pricesare quoted upon enquiry to ensure that you get the right price based on your specific requirements. We service all areas of perth(North, South, East, and West), so if it's a night out in Fremantle, a sunset at the beach or a wine tour in the Swan Valley, we can take care of you. We know its tricky when you're not sure whether to go or not because it's too far to drive or you want to have a drink. Just let us worry about the drive and we will get you there safely and on time. 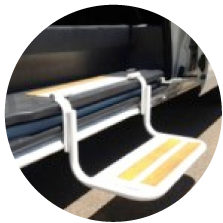 Our bus and minibus charters are available for as short or as long as you need it. So for your simple airport transfer or your weekend away down south, call Westside Private Charters first and know that getting there and home again is under control. We get loads of enquirers asking if we can supply child seats & Booster seats? We can cater from NEW BORN to 6/7 year olds. 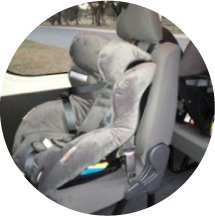 New Born’s in a rear facing child seat till around 8 months or whichever the parent feels more comfortable with, up to 4 year olds in a forward facing child seat and for the bigger kids a booster seat. Do yourself a favour and take the stress out of driving yourself around and let us do it for you. We look forward to picking you up soon and hopefully having a few laughs along the way.